Most nonprofits aren’t doing hashtags right. 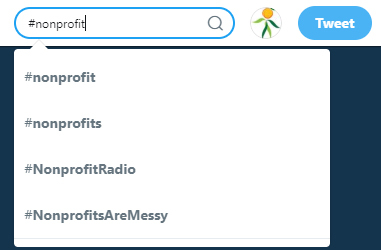 How often have you come across a post on Instagram or Twitter that’s got nonprofit hashtags spammed to the max (the max on Instagram is 30, and Twitter only allows 280 characters)? Do you think all those hashtags are worth it? TrackMaven found that engagement decreases after 11 hashtags are used on Instagram, and engagement decreases after just one hashtag on Twitter. So, if using more hashtags is actually detrimental to post engagement, are they even worth it? Tweets with hashtags (no more than two) increase engagement by 200% and are 55% more likely to be retweeted. Facebook posts with one or two hashtags see higher engagement. Using hashtags on Instagram (remember, no more than 11) increases engagement overall by 12.6%. Using hashtags can even increase your visibility in Google search results if someone searches for that hashtag. 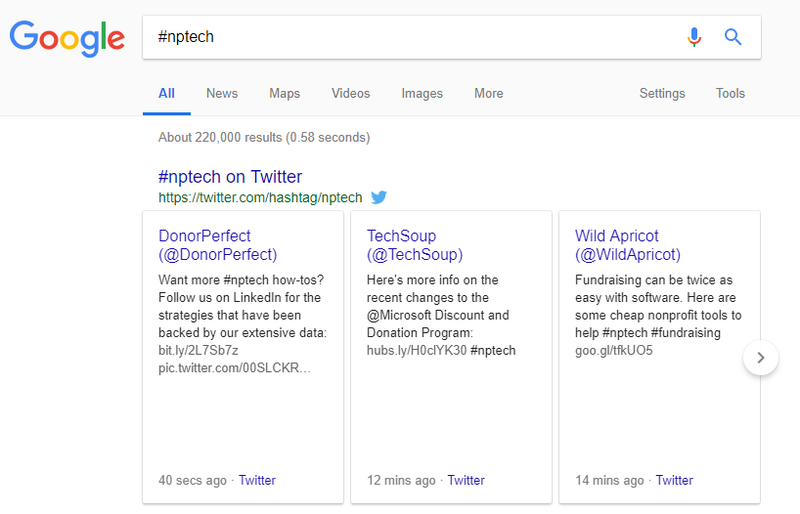 In the example below, Google shows the latest tweets using #nptech (notice we come up). If done right, hashtags can drastically boost engagement in your social media accounts. In fact, since Wild Apricot cracked down on which hashtags we use in our Twitter account, we’ve seen a 200% increase in organic impressions (just this month our tweets earned over 115,000 organic impressions). I’ve also found some great examples of nonprofits who’ve used hashtags to drastically increase followers, donations, and spread awareness. The best part is figuring out what hashtags to use and how to use them is actually quite simple. Have you ever conducted a hashtag giveaway? The idea is to give something away to someone in return for following your account and sharing a specific hashtag you created. Some organizations have seen amazing success with this type of strategy. Cruise Line International Association (CLIA), the world’s largest cruise industry trade organization, wanted to increase followers to its Twitter and Instagram accounts, so they decided to conduct a hashtag giveaway. 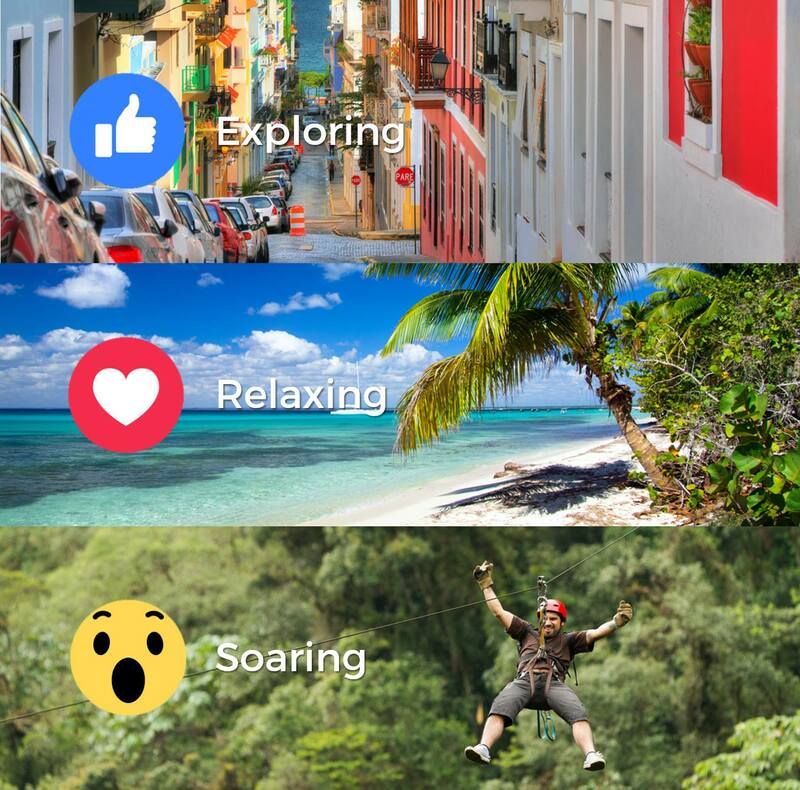 For 31 days, anyone who posted a selfie and used the hashtags #CruiseSmile and #Sweepstakes was automatically entered into a weekly draw for a cruise (locations included Tahiti, Alaska, and Italy). In the end, 83,000 people entered the giveaway and followed them on their Twitter and Instagram accounts. The best part was that creating the campaign was relatively easy. The only expense CLIA had was the cruise they gave away. So, say you want to increase your followers with a hashtag giveaway too. While you may not be able to give away a cruise, what about a gift basket? A free event ticket? Or even a 1-year membership? I’ve never seen that work to collect a single dollar. What I have seen work is using hashtag power to collect donations through a community initiative. That may sound a bit complicated, but it’s actually quite simple. 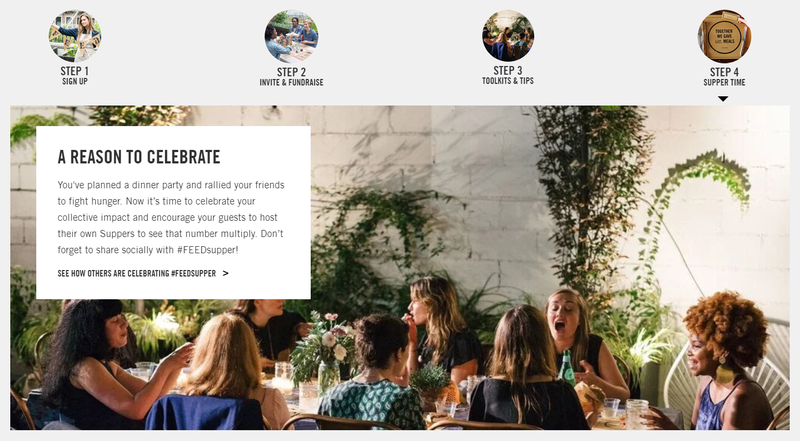 FEED, an organization that provides meals to American families, asked their supporters to collect donations from their friends by hosting dinner parties. To help their supporters out, they even supplied a toolkit with paper placemats, name cards, and hunger facts to those who wanted them. All they asked in return was that they used #FEEDsupper when they shared their images of their dinners. It was a very simple idea. Supporters invite their friends over for dinner. They collect donations. Then they post their photos online with #FEEDsupper. Within a month, thousands of people were hosting dinner parties across the nation (even Martha Stewart jumped on the trend) and spreading word about #FEEDsupper. By the end of the campaign, FEED raised enough money to provide over 2,000,000 meals for children and families in need. The initiative was such a success, FEED has turned it into a year-wide campaign. If you’d like to get more donations using hashtag power, consider inspiring your supporters to donate through a community initiative, like a dinner, run, or a clean-up, and then share their experience with their friends using a hashtag you’ve created. 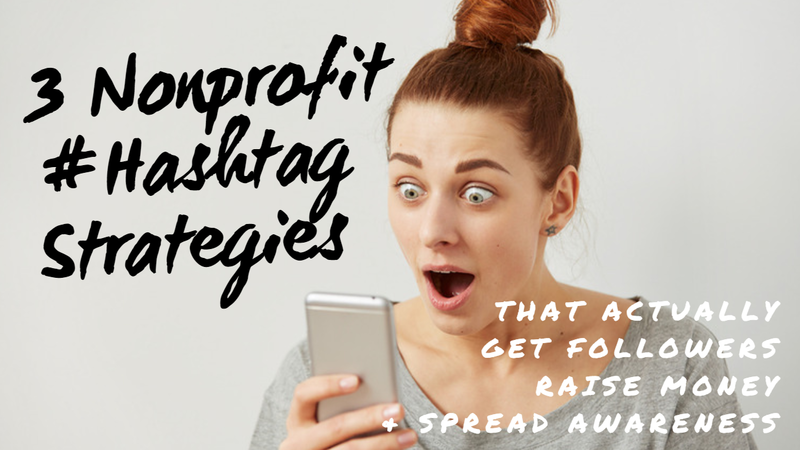 If your nonprofit’s goals aren’t to get more followers, or donations, but instead to inspire a local, national, or even global movement, then your hashtag approach should be completely different. Consider Truth, an organization bent on ending cigarette smoking. In 2014, they created the hashtag campaign #FinishIt to spread awareness of the harmful effects of secondhand smoke on pets. They didn’t aim to get more followers or donors, but simply to change youth’s attitudes towards smoking. They also didn’t rely on hashtag power alone. 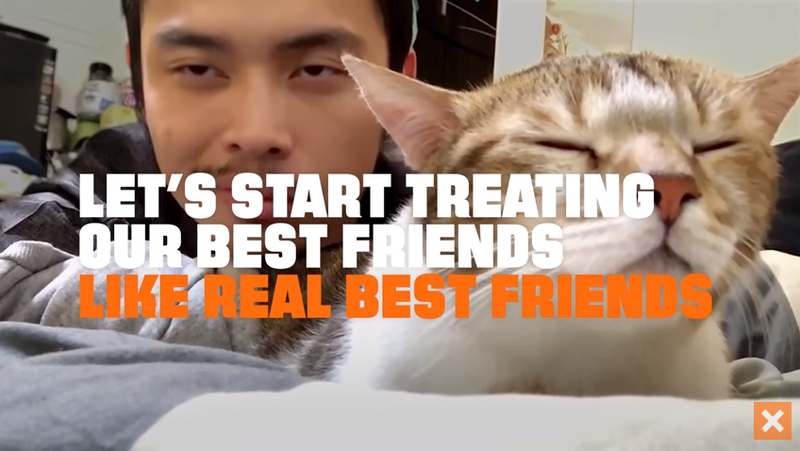 They created a short, educational video explaining the detrimental effects of secondhand smoke on pets while showing popular cat and dog videos in the background. While the main message was conveyed through the video, all the hashtag did was give people an easy way to share the video and talk about its message. What they found was that the Truth #FinishIt hashtag campaign resulted in a significant increase in anti-tobacco attitudes and reduced intentions to smoke over time among 15-21 year olds. Unfortunately, not every nonprofit has access to a nationally conducted study on the effectiveness of their hashtag campaigns. But if you want to measure how effective your hashtag is in spreading awareness, there’s a very easy way to do so. There’s a free tool called Tweet Binder that can show you how many times any hashtag was tweeted within the last 30 days. 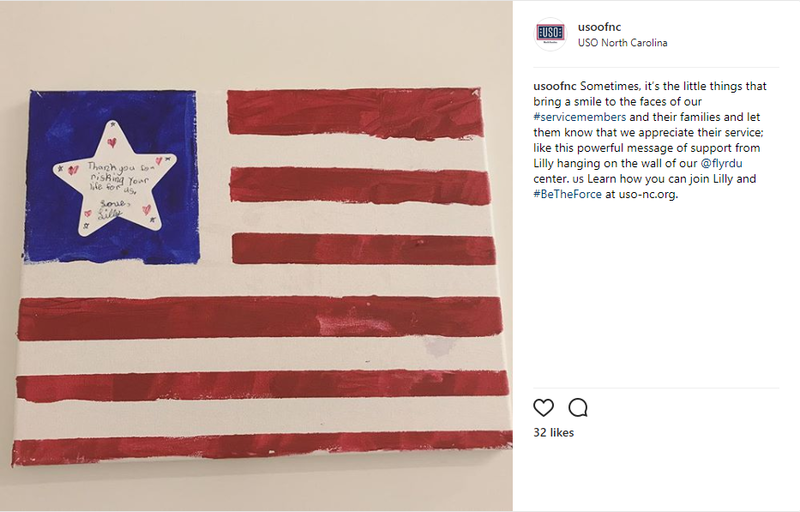 When creating your hashtag, just remember to keep it short, simple, memorable, and try your best to tap into a feeling of personal connection with your supporters. Sometimes the stars and moon align and a hashtag begins trending that perfectly relates to your organization. Once that happens, there’s a very short window of time to get creative and put together a campaign. Here’s a great example of that happening. Do you remember the viral campaign by Water is Life? 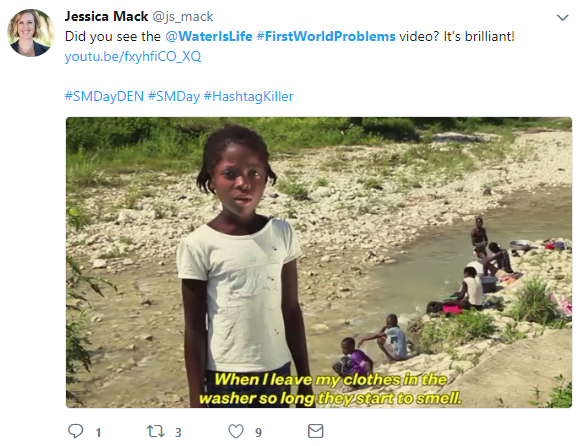 In 2012 when #FirstWorldProblems (“a slang term used to refer to issues in First World nations that are complained about only because of the absence of more pressing concerns”) began trending on social media, Water is Life created a number of videos parodying the hashtag to real concerns of people in other parts of the world. The campaign ended in a huge success for the organization. More than 21 million people watched the videos on Facebook, and more than 7 million on YouTube, not to mention the countless retweets, likes, and comments their posts generated. While many have tried to go viral and failed, if you keep your eye out on trending hashtags, you might just get lucky. If you’re just looking for a general boost to your likes, shares, and followers, using popular hashtags can definitely give you that (just don’t expect to go viral). Start by typing #foundation, #charity, #nonprofit, #association, #club, #nfp, or whatever type of organization you run into the search bar of the social platform you’re using to get suggestions. Look at hashtags included in the most popular posts, or posts from other organizations you follow and join the conversation by including those tags in your own posts. Browse our list of all the nonprofit hashtags and their popularity. Get creative with customized hashtags for an event or campaign name (like #[OUR]Gala2017). This is an easy way to boost attendance and participation, especially if used consistently leading up to the event. #MCM (man crush Monday) and #WCW (woman crush Wednesday) are great tags for posts about inspiring men and women who volunteer with, support, or inspire your organization. #transformationtuesday is intended to show change over time, usually with two pictures side by side. Get creative with this one to show how your organization has grown, project before-and-afters, or progress on your annual goals! #tbt (throwback Thursday) and #fbf (flashback Friday) are opportunities to post any sort of nostalgic content from last week, last year, or last century. Using Instagram’s search feature, browsing your feed, and mining for hashtags by just looking through content that is relevant to your membership and your organization are all great tips to keep your hashtag cloud fresh! All the best with using hashtags!